Views to Downtown Phoenix and Cardinals stadium. 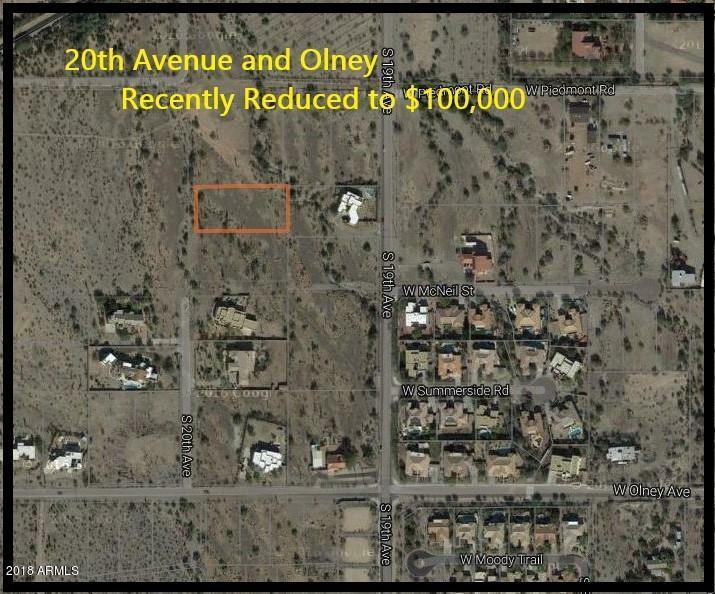 Custom home lot on just over an acre of beautiful natural desert on South Mountain. This property gives you the perfect opportunity to build your dream home with custom home neighbors. Unlike some other areas, the power lines are underground on 20th Ave. Water main and gas line are nearby. South Mountain park is great for hiking and downtown is only 20 minutes away! Watch the panoramic video under PHOTOs tab. Call with any questions.